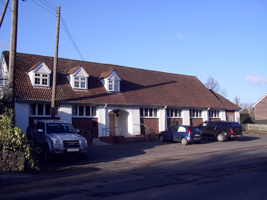 Whitchurch & Ganarew Memorial Hall stands in the village of Whitchurch in Herefordshire. 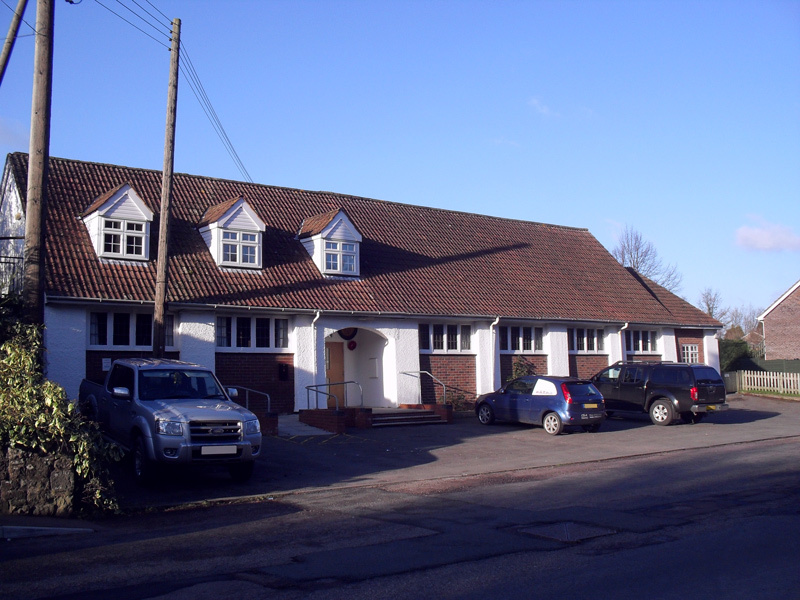 It is an arts and crafts style hall and is conveniently sited, adjacent to the A40. It is 4 miles from Monmouth and 7 miles from Ross-on-Wye. Whitchurch & Ganarew Memorial Hall was completed in 1922 as a memorial to the fallen of the First World War. The Hall was built by public subscription by the residents of the parishes of Whitchurch and Ganarew. Mrs Katherine Levett of Wyastone Leys generously offered to match the sum of 7s/6d for every 2s/6d raised from the two parishes. The names of the fallen of the First World War were placed on a plaque at the entrance and a second plaque with the fallen of the Second World War was later added. The Hall was officially opened on 30th November 1923 and was dedicated by the Lord Bishop of Hereford with Mrs Levett unveiling the memorial tablet. The original Committee Room was single storey, housing the Mens Club with Snooker and Billiard tables. This part of the Hall was rebuilt in the 1970′s, adding a second storey to form a Committee Room. With the need for disabled access to the Committee Room, this was moved to the ground floor in 2010 and the Snooker table was put upstairs. At the same time the main entrance was returned to it’s present position and the old fixed stage was replaced with a modern de-mountable stage of the same size. In 2014, the kitchen extension was completed. This was partly funded by the National Lottery, through the Big Lottery Fund. If arriving from Monmouth take the A40 eastbound towards Ross-on-Wye. After approximately 4 miles take the slip road after the petrol station, the Memorial Hall is situated 150 yards on the left. If arriving from Whitchurch Village Shop drive in the direction of Monmouth on Old Monmouth Road. The Memorial Hall is situated 150 yards on the right. When using Sat Navs please use the postcode HR9 6DJ.